In the midst of the recent anxiety and unpredictability of the global financial markets, many investors have been left wondering if this is still a good time to look for investment opportunities. As with everything in life, there are two sides to the same story. On the one hand, the economic turmoil could be taken as a clear sign to rush out and away from the market. On the other hand, an economic turmoil can be a signal for long-term investors to slowly work their way into the market, following the belief that crises are often opportunities in disguise. What most people forget, however, is to ask whether they are even in a position to invest. The basic questions: “Are you financially ready to invest?”, “How do you determine if you are financially ready to invest?” and “What have you done so far to gauge your financial readiness?” are furthest from their minds. Determining your financial readiness is not simply estimating how much you have in your bank account. There are 3 barometers of financial health that you will have to check yourself against: Personal Income and Expenses Statement, Personal Net Worth Statement and Financial Ratios. Only when you systematically review your finances will you be aware of your readiness to invest in the future. Let us go through the 3 barometers so that you will be more aware of what they are and how they can give you an idea of where you are financially. Firstly, you should be able to keep a good track of the money entering and leaving your wallet. You can achieve this through a personal income and expenses statement, a tabulation of your monthly income and expenses. 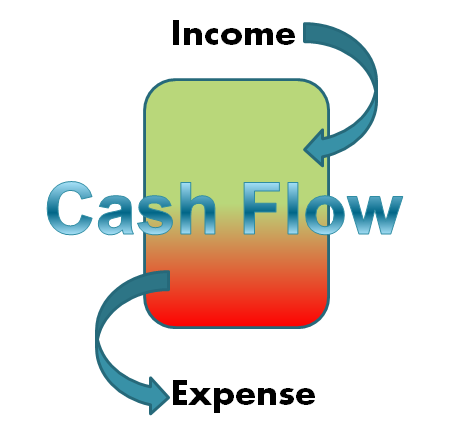 Someone who is financially sound will have greater money inflow than outflow. The next step in determining your financial readiness is to identify your assets and liabilities and compile them in a Personal Net Worth Statement. This statement shows you whether you are a positive net worth individual with many assets or whether you are a negative net worth individual, one who is hung up with the many liabilities of life. This ratio provides an indication on the number of months a person could continue to meet his/her expenses from existing cash or cash equivalent assets after a total loss of income. We should have liquid assets equal to 3 to 6 months expenses in an emergency fund. This ratio provides an indication of what percentage of gross income an individual is setting aside for future consumption. A ratio of 10% or more is healthy. This ratio provides an indication of the value of investment assets as against net worth. This would show how well an individual is advancing towards wealth accumulation goals. A person should have a ratio of at least 50% and it should get higher as retirement approaches. Posted byWei Lian November 18, 2014 March 17, 2015 Posted inInvestments, Money & Credit ManagementTags: assess, assets, establish, financial, financial health, financially ready, income and expense, inflow, Invest, liabilities, monthly, negative, net worth, outflow, personal, positive, ratio, standing, turmoilLeave a comment on Are You Ready to Invest? At the rate education costs are escalating, tertiary fees can become exorbitant by the time our children are ready. It is no wonder less than half of Singaporean parents are financially prepared for their children’s education based on a survey conducted by OCBC Bank in December 2013. Tuition fees for local universities are estimated to inflate at 3.5 percent per annum, whereas the increase in fees at overseas universities such as the US, UK and Australia, can range from 4.8 to 5.9 percent. If we include living expenses and airfare (for overseas universities) which will also inflate at estimated 3 and 5.3 percent per annum respectively, the total amount can become a huge financial strain if proper planning is not done. Annual tuition fees for NUS, according to their website, are $9,000 for the average course of study. Assuming an average course is 3 years = $27,000 total fees. Assuming education inflation of 3.5% for 20 years = about $50,000. Hence, when it comes to planning for our children’s education, start early with an education plan. It is essentially an endowment policy, in which we receive a lump sum at maturity. Some of these policies pay out a sum of money once every few years. This will ease our worry of not having sufficient funds to pay for our kids’ education in the future. This account pays up to 3.05% interest on up to $50,000 deposited provided the required criteria are met. Firstly, crediting a salary of more than $2,000 into the account. Secondly, paying any 3 separate bills. Thirdly, spending at least $400 on any OCBC credit card. All of which seems reasonable to achieve. This is a similar account, only that the criterion for is more challenging and less attractive. It pays 1.88% interest on up to $25,000 deposited, provided at least $500 is spent on the credit card. This is the best savings account that pays 0.8% interest with minimal conditions, which is even higher than some banks’ fixed deposit rates. There are a couple of others that advertise rates like 2.014% from POSB and 2.5% from Citibank, but the terms and conditions are very different. Like it only applies on the incremental amount and for a limited period only. Do note, of course, that interest rates are all quoted on an annualised basis. In case some are dreaming it is too good to be true. Anyone has any better to share? Many of us know that financial planning is a lifelong process. Our ultimate dream is to achieve a retirement life which we desire. This could mean being debt-free, having a passive stream of income and best of all, pursuing our interest and passion which we might not get to do in our younger days. Our lifelong financial process can be split into 4 stages. What are the crucial aspects which we should consider at each stage? Read on to find out more. The young adult is new to the working world and naturally earns a low income. He/she is driven to succeed and increase his earning ability. Being single, there are little or no financial commitments for him/her. 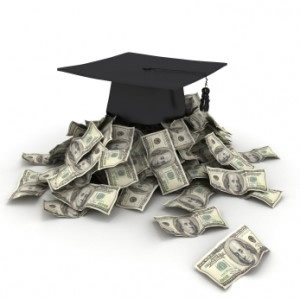 Some may have an education loan to pay off after graduation which can be fully redeemed after working for 2 to 3 years. This is the best time for you to start some form of wealth accumulation to prepare for retirement as it could be harder to save money in later stages of life when financial commitments increase. With the high risk tolerance at a young age, investing in more equities and mutual funds on a regular basis is recommended. Buying a house is common goal for young couples preparing to get married. Do the math on your liquid finances and CPF savings to find out which type of property best suits your financial ability. Having a comprehensive insurance portfolio is a must as well for wealth protection. Key insurance components include Hospital & Surgical, Critical Illness and Disability. At this stage, one could be married with or without children. With a moderate income, you would have more financial commitments such as a home loan and a car loan. 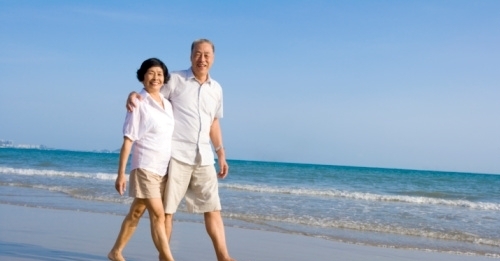 Retirement planning remains an essential component in your portfolio. Risk tolerance starts to moderate as you are one step closer to retirement. A correct investment mix of equity and fixed income helps you to achieve financial goals easily. Being a parent, getting insurance cover for your child prevents you from incurring unnecessary huge medical bills. Saving for your child’s future tertiary education should be your concern too. Another wealth protection area concerns the largest debt that you share with your spouse – home loan. If a spouse passes away, any outstanding loan is left to be paid off by the surviving spouse. Be responsible in financially protecting your loved ones in the event of your passing. Your children are grown up by this stage of your life. Your earning ability is at its highest and naturally your expenses increase as well. You could possibly take up a bigger car loan of home loan, thus increasing your financial commitment. 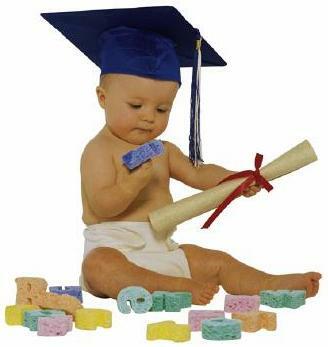 Child’s education and retirement planning are your main financial objectives for the long term. Therefore, your investments should be diversified in equities and debts instruments according to your age, available time and risk ability. By now, your home loan would have been fully paid off and your children are no longer dependent on you financially. This means low financial commitment which means your protection needs are its lowest stage. However, health insurance continues to play an important role as you age. The security of your retirement savings carefully accumulated over your younger days, coupled with regular income, becomes your focus now. For that, investments should be more in fixed income which yields regular income with low risk.